A reputable tool and a great blog to follow if you are looking to learn about everything to do with content marketing. Typically, Hubspot is focused on inbound marketing, so they’re great for small businesses, in particular, to help them build a solid content marketing strategy. This is a great tool to help with everything from content curation to optimization, as well as social scheduling and email automation systems. HubSpot’s Growth Stack includes CRM and sales enablement tools, however, the foundation of the Growth Stack is HubSpot Marketing. 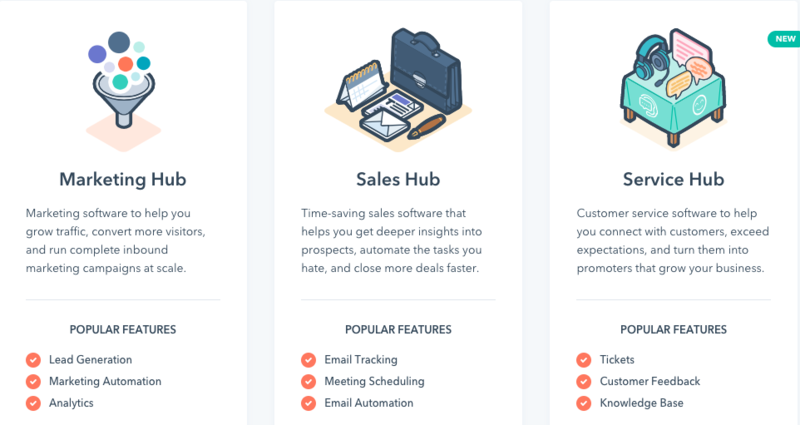 HubSpot Marketing allows organizations to bring all the tools they use to support their marketing under one umbrella that shares the same data. Plans include 1,000 contacts; from $50/month per additional thousand contacts. Addons for website, reports, ads, and more available as well.